The Pittsburgh Penguins have recalled defenseman Ben Lovejoy from Wilkes-Barre/Scranton of the American Hockey League. The Pittsburgh Penguins have recalled defenseman Ben Lovejoy from Wilkes-Barre/Scranton of the American Hockey League, it was announced by executive vice president and general manager Ray Shero. Lovejoy, 26, has appeared in 12 games with Pittsburgh this season, compiling three assists and an impressive plus-8 rating. He recorded his first NHL point with an assist Nov. 14 at Boston. Lovejoy, who made his NHL debut last season after seeing action in two games with Pittsburgh, finished with a plus or even rating in 11 of his 12 contests this campaign. Lovejoy has been one of Wilkes-Barre/Scranton’s top defensemen this season, recording nine goals and 29 points in just 65 games. His nine goals tie for the lead among Wilkes-Barre/Scranton blueliners while his 29 points placed second. Lovejoy has two assists in two AHL playoff games against Albany. 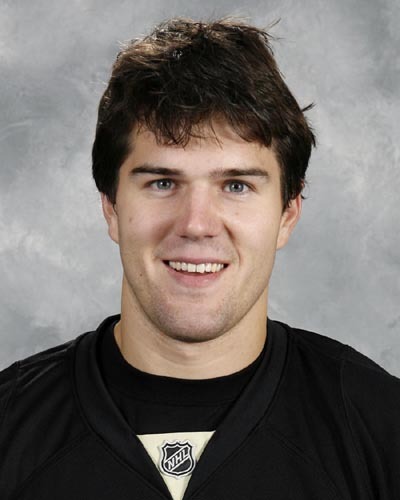 Lovejoy (6-foot-2, 215 pounds) has played three seasons with Wilkes-Barre/Scranton. In his career he has 18 goals, 62 assists, 80 points and a plus-137 rating in 213 games. He led the entire AHL with a plus-42 rating and topped all WBS blueliners with 31 points (7G-24A) in the 2008-09 season. For his efforts, he was named to the PlanetUSA All-Star Team. The Concord, New Hampshire native has appeared in 37 playoff games with Wilkes-Barre/Scranton, helping the club to the Calder Cup Final in 2007-08. He has registered three goals, 11 assists and 14 points in his postseason career. Lovejoy turned pro after three collegiate seasons with Dartmouth. He finished his Big Green career with 54 points (11G-43A) in 96 games. In his senior campaign, he posted a career-high seven goals and 23 points, and was named second team All-Ivy and third team All-ECACHL (Eastern College Athletic Conference Hockey League).